If you had five Booster Gold autographs and Booster gave you six more, how many autographs do you have? If Booster Gold travleled forward in time six years and then traveled back six years, how many years forward is he now? If you had three Booster Gold autographs and Booster gave you five more, how many autographs do you have? We've known for a month that Booster Gold will be in Batman #45 this April. DC released solicitations for May 2018 yesterday, and now we know many issues of Batman he'll be appearing in in total. The answer: 3. "Bumbling" time-traveler? They must be talking about someone else. We'll find out more in May. Ooh! That's pretty good news. Just as Booster Gold's time with Superman is winding down, DC announces the party is continuing with Batman! "THE TRAVELERS" part one! 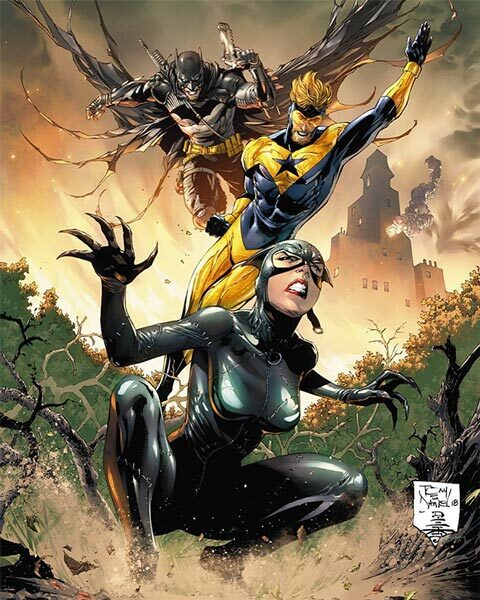 Booster Gold has come to Gotham City, and he's enlisting Batman and Catwoman to go on a time-traveling mission to rescue . . . Booster Gold! It seems a younger Booster Gold has gone back in time to kidnap an even younger version of himself, and to rescue his own past, Booster must pursue both of his previous incarnations through Batman's history to find out what is going on. The start of a new story that will sow the seeds for a whole new epic to come—and also the return of Master Class artist Tony S. Daniel (DAMAGE) to BATMAN! 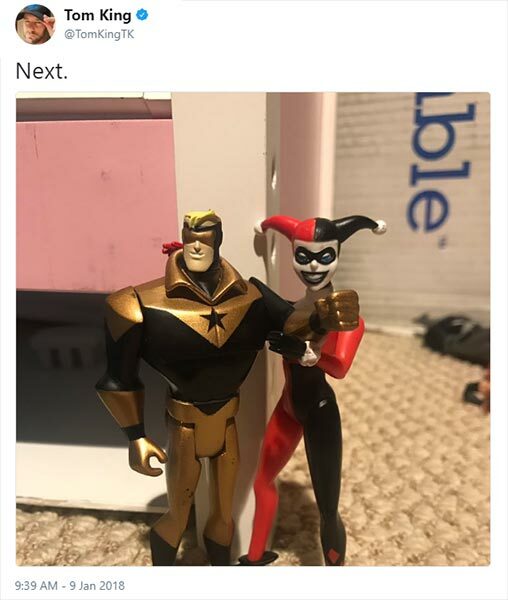 This story must be what Tom King was hinting at on Twitter earlier this month. Buckle up, Booster boosters, 2018 is the year of Booster Gold! If I'm grumbling about shenanigans happening with Batman because I still haven't forgotten him for his part in Ted Kord's demise (even though that was one (or is it two?) reboots ago), am I ungrateful? Would a near-constant recurrence in everybody else's book be even better than a returned BG book? 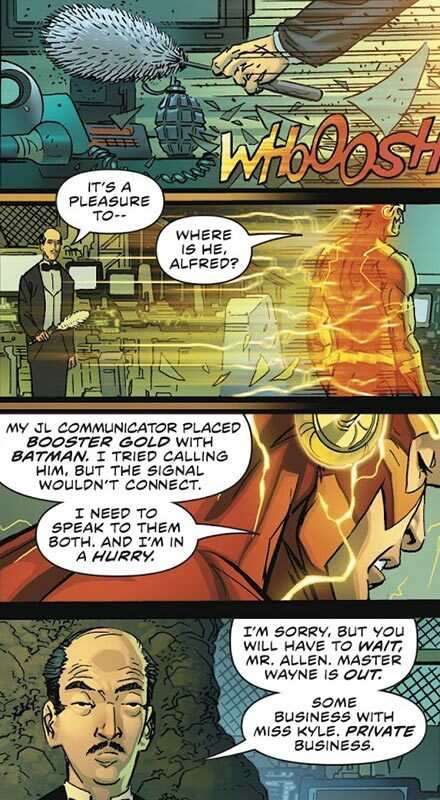 It seems like DC is pretty good at writing Booster in short bursts. If they can keep this going, it could be great!